Special offers Celebration Special offers U.S.A.
Only 4 miles from Walt Disney World Resort, Encantada Resort features a private outdoor swimming pool and hot tub. Each townhouse has a full kitchen. A microwave, refrigerator and stove are included in each of the kitchens at Encantada Resort. A flat-screen cable TV and DVD player are also available. Laundry facilities are included for added guest convenience. Table tennis, a pool table and barbecue facilities are on site as well. Sea World Orlando is 14 miles from Encantada Resort. Guests are a 20-minute drive from shopping and dining at Downtown Disney. With a convenient location just 2 miles from Interstate 4 for easy travel to attractions such as Disney World, this Kissimmee, Florida hotel features convenient amenities and relaxing facilities. Motel 6 Kissimmee is just minutes from the excitement of SeaWorld, Universal Studios and Wet 'n Wild water park. A variety of restaurants and shops are also in the area. Guests at the Kissimmee Motel 6 will appreciate this pet-friendly hotel's free morning coffee and coin laundry facilities. The refreshing outdoor pool is a great place for guests to relax while soaking up the Florida sun. Located just off of I-4 and across the street from Old Town, a shopping, dining and entertainment attraction in Kissimmee, Florida, this hotel offers great amenities for a relaxing stay. Motel 6 Kissimmee is near a variety of exciting attractions. Walt Disney World, SeaWorld and Universal Studios are just minutes away. The surrounding area is also filled with restaurants and shopping opportunities. Before spending the day at one of the area's theme parks, guests can start the day with a cup of free morning coffee. Additional amenities at the pet-friendly Kissimmee Motel 6 include an outdoor pool and in-room cable TV. Set on 64 acres only 3 miles from Walt Disney World, this resort features an on-site water park and miniature golf course. Its spacious apartment-style accommodations include full kitchens. The one and two-bedroom condos provide a spa tub and sofa beds. They have flat-screen cable TVs, DVD players and CD players. They also include washing machines and dryers. Liki Tiki Village features tennis and basketball courts, a gym and arcade room. The water park has slides, a wave pool and separate children’s area. The resort provides a gift shop and tour desk services. It also has barbecue and picnic areas. On-site dining is available at Shipwreck Sally's Bar and Grill. Orange Lake Resort Golf Course is 2 miles from Liki Tiki Village. Top Orlando attractions such as SeaWorld and Universal Studios are within 18 miles of the property. This beautiful, Caribbean-style community is ideal for families or groups visiting Orlando. Walt Disney is just 2.5 miles from this gated resort. Windsor Hills features comfortable town homes, condos and 6-bedroom homes. All community areas offer a family-friendly atmosphere. Enjoy the clubhouse with its lagoon-style pool complete with water slide, hot tub, sundry shop, fitness center, game room, 58-seat movie theater, and lounging area. There is a variety of recreational activities on-site for all ages including, children’s playground, sand volleyball, basketball, tennis, video arcade and billiards. Appreciate the resort shuttle service to exciting parks like Walt Disney World, Sea World and Universal Studios. Experience the fun, sun and comfort Windsor has to offer. This beautiful gated resort community is just 2.5 miles from the gates of Walt Disney World in Orlando. Accommodations range from 2 to 6 bedroom homes to suit a wide range of vacation needs. Windsor Palms features homes with private outdoor pools and spas. Enjoy use of the shuttle bus with service to Walt Disney World, SeaWorld and Universal Studios. Guests can explore the 7,500 square feet community clubhouse featuring a community pool with sun deck and hot tub. Windsor Palms offers a variety of recreation and activities for all ages for a fantastic Orlando vacation. 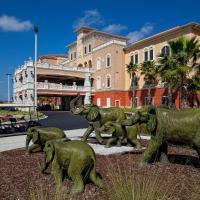 This Kissimmee hotel is 1 mile from the Disney Theme Parks. This completely smoke-free hotel features a free scheduled shuttle to area theme parks and to the Lake Buena Vista Shopping Mall. Rooms at the Comfort Inn Maingate have free Wi-Fi, flat-screen cable TVs and ironing facilities. Rooms are also equipped with a microwave, refrigerator and coffee-making facilities. The hotel features an outdoor pool with separate children’s area. Guests can also enjoy a nightly buffet at Lighthouse Lobster Feast, the hotel's on-site restaurant. The Maingate Comfort Inn is within a 30-minute drive from downtown Orlando. The hotel is 23 miles from the Orlando International Airport. These beautifully furnished vacation homes and condos offer all the amenities and comforts you desire – within minutes of Disney, Universal Studios, and SeaWorld attractions. Advantage Vacation Homes offers the largest selection of luxury vacation villas near Disney World Resort area, and other Central Florida attractions, shopping and dining. Choose from a 3, 4, or a 5 bedroom vacation villa with multiple full baths, one or more spacious living areas, a fully equipped kitchen, dining room, and washing machine and dryer. The vacation villas also feature a private, screened-in swimming pool. Windsor Palms Resort is the number one premier resort community and vacation rentals in the Orlando area, near to Walt Disney World. 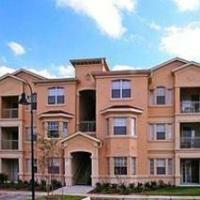 Its proximity to Orlando's world-renowned attractions is unrivaled. Staying in one of the apartments gives you automatic membership to all the private resort facilities, for the duration of your stay. Disney World is only 3 miles away, and the many shops and restaurants of Highway 192 are only a short 2-minute drive. There is a special play area for younger visitors and an area where you can even have your own family BBQ. All sports equipment is available free for guests to hire from the convenience store. There is a secure gated entrance with 24 hour guard for your piece of mind. Surrounded by a number of shopping centers and restaurants, and only moments from Walt Disney World, this Kissimmee hotel offers free theme park shuttles along with many other thoughtful amenities. Exploring area attractions is easy at the Continental Plaza Hotel Kissimmee, with free shuttles to Epcot and MGM Studios as well as on-site ticket sales to major area theme parks. The Magic Kingdom along with SeaWorld and Universal Studios are also easily accessible. Guests at the Kissimmee Continental Plaza Hotel can start the morning with a swim in the outdoor pool. The hotel also offers outdoor picnic areas along with an on-site gift shop and arcade. Experience a magical Orlando vacation by staying in a luxury apartment resort near Walt Disney World. Attractions such as shopping, restaurants as well as other famous parks are within a short drive. Advantage Vacation offers apartments with spacious living areas, fully equipped kitchens and dining areas. Enjoy the convenience of having your own washing machine and dryer. After a busy day of fun take a dip in the outdoor pool. Sea World and Universal Studios are within a short drive from the property. Have a convenient and independent experience on your next trip to Orlando with Advantage Vacation. This family-friendly hotel features spacious, suite-style accommodations adjacent to the Old Town Entertainment Complex and less than 3 miles from Walt Disney World, with convenient access to other attractions. Celebration Suites At Old Town feature full kitchens, making it easy to eat a quick lunch before exploring one of the area's famous theme parks. Enjoy separate living and sleeping areas, great for entertaining guests or relaxing. Guests at the Celebration Suites can play basketball or volleyball on the outside sports courts. The property also has 3 outdoor pools. Guests can play in the indoor game room or make dinner in the barbecue area. The hotel offers complimentary transportation to Walt Disney World, Universal Studios and SeaWorld. The hotel also offers a shuttle to Lake Buena Vista Factory Outlet. Tickets for several area attractions are available for purchase in the hotel's lobby. Less than a 20 minute drive from Disney World Resort, this Kissimmee hotel is adjacent to Water Tower Shopping Center. It features free shuttle service to Disney and spacious rooms with free Wi-Fi. Free access to the outdoor pool and hot tub is provided to all guests of the Claremont Kissimmee Hotel. A game room with arcade games and a gift shop are also on site. A cable TV and coffee maker are standard in every room at Hotel Claremont Kissimmee. All rooms include air conditioning and a work desk. Parking is free at this hotel. It is less than a 20 minute drive from Sea World and Universal Studios. The Waldorf Astoria Golf Club is 7 miles away. Located only 2 miles from Walt Disney World Resort, this hotel offers modern amenities and exciting Orlando attractions, fine-dine and world-class shopping are only steps away. Rodeway Inn offers a courtyard-style atmosphere. Relax after some theme park fun in the outdoor heated pool or take a nap in your comfortable guestroom. Take advantage of the complimentary scheduled shuttle to Walt Disney World and area shopping. Enjoy all that Orlando has to offer while staying in Rodeway, an oasis for a great family vacation. On 15 acres of tropical landscape and minutes from Walt Disney World, this hotel features free shuttle service to Walt Disney World and provides a variety of amenities including a playground. The Champions World Resort is ideally located, only 3.5 miles from SeaWorld, Universal Studios and the many parks of Walt Disney World. A variety of shopping centers are also nearby, and are easily accessible with the hotel's free shuttle service. Guests at Champions Resort can start the morning with a delicious breakfast buffet from the on-site restaurant or with an energizing workout in the on-site fitness center. At the end of the day, guests can relax in one of the 3 pools or enjoy an outdoor meal with barbecue and picnic areas. A 10-minute drive from Walt Disney World, this Kissimmee hotel features an outdoor pool and 2 on-site restaurants. Guests are also a 5-minute walk from Old Town amusement park. A cable TV, microwave, and small refrigerator are included in all rooms. Coffee-making facilities are provided by Holiday Inn Main Gate East as well. Access to the fitness center and game room is available to all guests throughout their stay. A ticket service and tour desk are available at this Kissimmee Main Gate East Holiday Inn as well. Chianti's lounge has a poolside beverage service. Trattoria Café services classic American cuisine for breakfast, lunch, and dinner. Aquatica, SeaWorld's water park, is 10 miles away. Upscale discount shopping is 7 miles from the property at Orlando Premium Outlets on Vineland Avenue. Located just 3 miles from Walt Disney World's Main Gate, this Kissimmee hotel offers free shuttle service to the Walt Disney World Transportation and Ticket Center. Seralago Hotel & Suites Main Gate East features 2 heated, outdoor pools as well as 2 whirlpool spa tubs. Kids will love the hotel's children's pool, while adults can have fun on the sand volleyball court. In the evening, the whole family can enjoy a free movie in the movie theater. The Vineyard Cafe at the Main Gate East Seralago is a family friendly restaurant that is open for breakfast. Guests can also have a snack at the hotel's Food Court or relax beside the pool with a beverage from The Tropical Pool Bar. In the evening, The Court Street Bar is the ideal place for a cocktail after a busy day. This Caribbean-style resort and spa features apartment-style accommodations 9 miles from Disney World. This room features a full kitchen and a cable TV. A DVD player and CD player are also included. An on-site game room and spa are available at Bahama Bay Resort and Spa. A transportation service to and from Orlando theme parks is available for rent as well. Mambos, and on-site restaurant, has casual poolside American dining. Tradewinds features a more elegant atmosphere with views of Lake Davenport and serves daily breakfast buffets, casual lunches and a full dinner menu. Universal Studios is 24 miles from this resort. Guests are a 25-minute drive from shopping at Premium Outlets. Less than 2 miles from Walt Disney World and just a short drive from other Orlando attractions, this hotel in Kissimmee, Florida offer comfortable guest suites and relaxing facilities. The Palms Hotel & Villas features 2 outdoor pools and a children's pool. Guests can start the day with a deluxe continental breakfast, then explore the nearby theme parks. The one-bedroom suites at the Palms Hotel offer full kitchens with a 2-burner stove, full refrigerator, dishwasher and more. 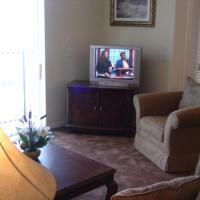 At the end of the day, guests can relax while watching cable TV. Just 9 miles from Walt Disney World, this Kissimmee resort features 2 and 3-bedroom villas with tropical furniture. An in-room massage service and free Wi-Fi are available. A private balcony and a full kitchen are provided in each villa at the Caribe Cove Resort. Three cable TVs, a coffee maker and laundry facilities are included. Caribe Cove guests can enjoy the heated outdoor pool overlooking a lily pond. A 24-hour fitness center, a whirlpool and a sauna are also available. Free coffee and tea service is available to all guests. Private dining and a 24-hour gift shop are also at the resort. The Resort at Caribe Cove is a 15-minute drive from central Celebration. Universal Studios Orlando is 19 miles away. Within 8 miles of Disney's Hollywood Studios and Animal Kingdom, this Florida hotel features a 24-hour front desk, continental breakfast, and free Wi-Fi. Disney's Magic Kingdom is 11 miles away. All guest rooms feature a flat-screen cable TV, microwave, and small refrigerator. Coffee-making facilities are included as well. Select suites at Sunsol Orlando Hotel Boutique have a sofa bed. Guests can lounge in the outdoor pool, walk through the garden, or stop in the business center to catch up with their email. For added convenience, Sunsol Orlando Hotel Boutique provides free on-site parking and a theme park transportation service. Universal Studios Orlando and Islands of Adventure are 19 miles away. The Arabian Night Dinner and Show is 9 miles from the hotel. This hotel is located just one mile from Disney World and offers a complimentary scheduled shuttle to Disney, SeaWorld and Universal Studios. Knights Inn Maingate has a year round heated pool, discounted weekly rates, all first floor rooms, free parking, microwave and fridge in all rooms and wireless internet in all rooms. Knights Inn Maingate offers complimentary breakfast for all guest. The Main Gate of Walt Disney World is only minutes from this Orlando hotel, offering free theme park shuttle service along with modern in-room amenities, including flat-screen TVs. Start the morning at the Galleria Palms Orlando with a free hot breakfast or with a refreshing swim in the outdoor pool. Relax after a long day on soft pillow-top mattresses and take advantage of in-room microwaves, refrigerators and coffeemakers. Easily discover Universal Studios and SeaWorld when staying at the Orlando Galleria. Visit the Orlando Science Center, explore Old Town Kissimmee or enjoy a scenic drive to popular Cocoa Beach and the Kennedy Space Center. Located in the heart of Orlando, the villas are only 5 minutes' drive away from the Walt Disney World Resort, and 17 minutes' drive from SeaWorld and Universal Studios Orlando. During your stay be sure to experience Liki Tiki Lagoon water park adventure, located at Island One's Liki Tiki Village, just minutes away. You will have full usage privileges to this water park that features 5 water slides, a wave pool, an erupting volcano and a children's area. This RCI Resort of International Distinction offers you a galaxy of resort-based activities that guarantee an out-of-this-world holiday for your entire family. Located on the edge of a lake, a 10 minute drive from Walt Disney World Resort, Bohemian Hotel offers a heated outdoor pool and free shuttles to a nearby golf course. Rooms at the Bohemian Hotel Celebration, Autograph Collection include a spacious sitting area and cable TV. A private balcony and in-room massage service are available upon request. Outdoor dining overlooking the lake is offered at the Bohemian Bar and Grill. There is a Starbucks next door and many other restaurants can be found on Water Street, less than a 5 minute walk away. Bohemian Hotel Celebration also provides an on-site ticket desk for theme parks and can arrange a shuttle service to Disney World. Orlando International Airport is 20 miles away. Enjoy this brand-new resort featuring luxury condominiums. This beautiful gated community is just 1.5 miles from the gates of Walt Disney World. This contemporary themed resort community offers distinctive designs, each well furnished with luxurious features. The clubhouse features a lagoon-style community pool, tennis courts, volleyball courts and a 4,000 sq ft clubhouse. 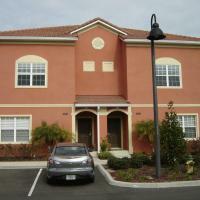 Oakwater is a short drive to SeaWorld, Universal Studios, the Orlando Convention Center and local area attractions. Oakwater offers a family-friendly atmosphere and recreational activities to suit all ages. This 4-star resort features 2 outdoor pools and offers guests a free shuttle services to Disney World, just 1-mile away. Elegant gardens and a full-service spa are available and the spacious rooms provide views of the city or atriums. The Gaylord Palms offers live nightly entertainment, a waterslide and separate children's and adults swimming pools. The hotel also features a sand beach play area, waterfalls and on-site boutique shops. Fine cuisine is available at the Old Hickory Steakhouse and casual meals at Villa del Flora. Guest rooms at the Gaylord Palms Resort and Convention Center provide coffee facilities and a refrigerator stocked daily with bottled water. Each includes cable TV, a CD player and free Wi-Fi. Some rooms are located just steps from the convention center. Located off Interstate 4, the Gaylord Palms provides easy access to many of the area's top sites, including SeaWorld, 6.6-miles away. Universal Studios is 11 miles away and Orlando International Airport is within 20 minutes' drive. This all-suite hotel in the village of Celebration is only 2.5 miles from Walt Disney World. The hotel has a free shuttle service to area theme parks and free Wi-Fi. The Melia Orlando Suite Hotel at Celebration features a full kitchen and private balcony in every suite. Flat-screen TVs and iPod docking stations are also included. Guests can use the outdoor pool or the hot tub at the Melia Orlando Hotel. A car rental, free laundry facilities, and concierges services are also available on site. Located just 2 miles from Disney World, this all-suite Florida hotel features free shuttles to Orlando theme parks, a restaurant and poolside bar. Suites offer sofa beds and free Wi-Fi. Guest accommodations at Comfort Suites Maingate East include microwaves, refrigerators and coffee makers. The suites also have flat-screen TVs and desks. Room service is available. Along with a heated outdoor pool, the hotel offers a hot tub. Barracuda Bart's tiki bar has a full bar and menu that includes cocktails and pizza. A breakfast buffet is provided daily. Guests can workout in the gym or visit the game room. For added convenience, there is a business center and meeting facilities. Maingate Comfort Suites is 9 miles from SeaWorld Orlando. It is 13 miles from Wet 'n Wild Water Park and Universal Studios Florida. Next to the Old Town shopping center and only moments from Disney World with free shuttle service, this Kissimmee hotel features a swimming pool and on-site bar. A continental breakfast is provided daily. A flat-screen cable TV comes standard in each room at Roomba Inn and Suites. Coffee-making facilities are included. Roomba Inn and Suites Kissimmee provides free shuttle service to all Walt Disney World Resort as well as to Universal Studios and SeaWorld Orlando. The hotel features a playground and a game room. Walt Disney World Resort is just a 7-minute drive from this hotel. Shopping at Orlando Premium Outlets is 5.3 miles away. 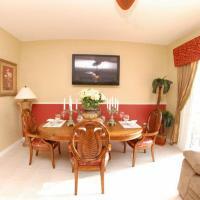 This Orlando holiday home is located within a 30 minute drive of the Walt Disney World Resort. The homes are fully furnished 3 bedroom townhouses and 5 bedroom pool homes with an outdoor pool. 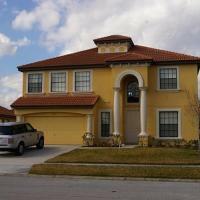 Vacation Homes and Villas Orlando come furnished with a full kitchen and a separate living and dining area. The villas also include a DVD player and desk. Guests can arrive at the property directly without stopping at the rental office. The Orlando International Airport is located within a 30 minute drive from Orlando Vacation Homes and Villas. Prime Outlets Orlando and Universal Studios are within a 20 minute drive of the holiday homes. In private Orlando communities, these multi-bedroom holiday homes and apartments are a 15-minute drive from Walt Disney World. A full kitchen, separate sitting area, and dining area are provided in all units. Internet is available upon request. Homes4uu holiday homes feature a private pool. A community indoor pool and playground are available to Homes4uu guests. A laundromat and barbecue facilities are available as well. Aquatica, SeaWorld's water park, and the Orlando International Orlando Airport are within 11 miles of the property. The Universal Orlando Resort is 19 miles from the property. Located in the beautiful and warm city of Kissimmee, Florida, and only minutes away from Walt Disney World is where you will find this convenient and charming hotel. With Walt Disney World, Sea World and a number of other major attractions only a short distance away, the Magic Tree Resort is the perfect location from which to begin your Florida vacation. The family-friendly atmosphere at the Magic Tree makes it the perfect location for all. A number of activities are available on-site, including tennis and basketball courts as well as daily children's activities and a swimming pool. This Orlando resort features 3 heated outdoor pools, 3 hot tubs, and a game room. Guests can enjoy free transportation service to the Walt Disney World Resort and the Universal Orlando Resort, which are a 14-minute drive away. A full kitchen, spa tub, and separate sitting area with a sofa bed are featured in all villas and apartments at Westgate Towers. A cable TV with a DVD player is also included. Guests can take advantage of free bike, paddle boat, and sports equipment hires at this Central Florida Westgate Towers. A 24-hour front desk is available for added convenience. Casual and fine dining restaurants are 12 miles away at Restaurant Row on Interstate 4 and Sand Lake Road. The resort is also 8 miles from Orlando Premium Outlets and 9 miles from ChampionsGate Golf Resort. Located just one mile from Walt Disney World, and minutes from Universal Studios and SeaWorld, these apartment are the perfect place for an Orlando family vacation. Westgate Town Center offers guests comfortable, fully furnished apartment homes. Accommodations feature kitchenettes or full kitchens, and separate sleeping and living areas. Enjoy various outdoor recreational activities at the property or rent a bike and explore the surrounding area. Free scheduled shuttle service to Walt Disney World, SeaWorld and Universal Orlando is available. This Orlando resort features 14 heated outdoor pools and hot tubs and a fitness center. Guests will enjoy transport service to area theme parks like the Walt Disney World Resort, which is 2 miles away. A full kitchen, separate sitting area, and washing machine with tumble dryer are included in all Westgate Vacation Villas. Studios feature a kitchenette, and select villas have a balcony. Guests can play in the 3,000-square foot game room or stop by the The Marketplace for a snack. The 24-hour front desk at Florida Westgate Vacation Villas can help guests explore the greater Orlando area. Drafts Sports Bar offers gourmet burgers in a brew pub atmosphere. Guests can also relax by a pool with cocktails and appetizers from Banana Cabana or enjoy light European-inspired fare at the Bistro. The Orlando Premium Outlets are 9 miles away. The resort is within 15 miles of upscale restaurants on Restaurant Row and the Wizarding World of Harry Potter at the Universal Orlando Resort. This Kissimmee hotel is within a 5-minute drive of Walt Disney World. The hotel offers an outdoor pool, free Wi-Fi and a continental breakfast. Destiny Palms Hotel Maingate West features a flat-screen cable TV and refrigerator in every guest room. All rooms are also equipped with a coffee maker and work desk. Parking is free at the hotel. The Orange County Convention Center is a 20-minute drive from the Destiny Palms Hotel. SeaWorld is within 15 miles of the hotel. Near popular Orlando attractions and providing free shuttles to theme parks including Disney World, this Kissimmee hotel features an indoor pool and a large atrium area with many dining options. Universal Studios, SeaWorld and Wet 'n Wild water park are only minutes away with the West Kissimmee Ramada Maingate's free shuttle service. The Orange County Convention Center and a number of shopping centers are also easily accessible. The family-friendly Ramada Maingate West Kissimmee provides everything needed for an enjoyable stay, including an on-site arcade and both indoor and outdoor swimming pools. Guests at the pet-friendly hotel can also enjoy free wireless internet access and in-room mini-refrigerators. This hotel is 6.5 miles from Walt Disney World and provides free scheduled shuttles to area theme parks. The hotel features a mini-golf putting course and rooms include a refrigerator. Ramada Gateway Hotel Kissimmee rooms feature cable TV and tea- and coffee-making facilities. Most offer views of the tropical grounds or pool. The Kissimmee Ramada features pool tables and an arcade room. Guests can work out in the gym or on the basketball court. The hotel has 2 outdoor pools. Dining options at the Ramada Gateway include the Smokehouse Grill and Lounge. Snacks can be purchased at the on-site deli. Sea World is a 14 minute drive from the Gateway Ramada. The hotel is 15 miles from Universal Studios amusement park. This Orlando property is less than 5 miles from Walt Disney World. Each spacious cottage offers a fully equipped kitchen, cable TV and air conditioning. 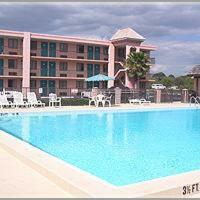 Tropical Palms Resort & Campground features an outdoor swimming pool and a children's pool. Guests can use the fishing area or the walking paths. Shuffleboard courts and a sand volleyball court are also available. Universal Studios is a 20-minute drive from the Tropical Palms. The Orange County Convention Center is a 15-minute drive from the hotel. This resort in Kissimmee is a 10 minute drive from Walt Disney World theme park. The property features an outdoor pool, tennis court, playground and spacious rooms with full kitchens. Each unit at Grand Lakes Resort is fully furnished and features a private balcony or patio. The rooms come with cable TV and DVD player as well as all linens and towels. Views of the lake or pool are also featured. 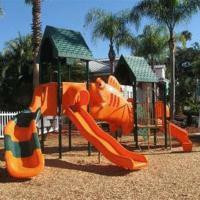 Vacation Resort Grand Lakes is along Lake Wilson and offers paddle boats. Guests can use the barbecue area and the laundry facilities. Grand Lakes Lifetime of Vacation Resort is 10 minutes from MGM Studios and Epcot Center. There are numerous boutique shops near the resort. Busch Gardens is an hour away by car. This Kissimmee hotel is 2 miles from the Walt Disney World Resort entrance and offers shuttle services. The hotel features 3 outdoor pools, on-site cafe and 18-hole miniature golf course. Rooms at the Maingate Lakeside Resort are furnished with in-room refrigerators, coffee makers, and large work desk. Free Wi-Fi and cable TV with pay-per-view movies are also available. Guests have a variety of dining options. The Greenhouse serves a daily buffet breakfast, Hurricane Sam's Bar and Grill is open nightly and guests can get snacks at the General Store and Del. There is also a poolside bar. The Lakeside Maingate Resort offers 2 children’s playgrounds and a kid’s club. A fully equipped gym and a video arcade are also featured. Orlando Premium Outlets is a 10-minute drive from the resort. Guests can go swimming and boating at Black Lake which is next to the hotel. These resort homes are at Windsor Hills Resort in Kissimmee and are a 10-minute drive from Disney's Animal Kingdom. This resort features a tennis court, 70-seat private cinema and outdoor hot tub. Magic Resort Homes has air-conditioned 3- and 5-bedroom fully furnished houses with a private pool. Each house has a living room with cable TV and a DVD player and a full kitchen. Washers and dryers are also included. The Magic Homes Resort features a modern gym and a lagoon-style pool with a waterslide. Basketball and volleyball courts are on site. Guests can also use the shuttle bus to the area theme parks. Disney's Hollywood Studios is a 15-minute drive from The Magic Resort Homes Kissimmee. The Kissimmee Airport and the Orlando Premium Outlets are within a 28 minute-drive of the resort. This Kissimmee hotel is ideally located less than 1 mile from the Walt Disney World Resort and 8 miles from the Orlando Premium Outlets. Guests can enjoy an outdoor pool and modern rooms with free Wi-Fi. Quality Inn and Suites Kissimmee offers air-conditioned rooms furnished with a flat-screen cable TV, work desk and safety deposit box. Convenience amenities include a hairdryer, coffee maker and ironing facilities. Deluxe rooms are equipped with a microwave and refrigerator. A daily continental breakfast is served in the morning at Kissimmee Quality Inn. The hotel has free coffee and weekday newspapers in the lobby. Free parking and a business center are also available. Free shuttle service is provided to area theme parks, including Disney World, Sea World and Universal Studios, all within 15 miles of the hotel. Waldorf Astoria Golf Course is 9 miles from the Quality Inn. A 30-minute drive to Walt Disney World Resort, Tuscan Hills offers 2-story villas with private pools in Davenport. A full gym, volleyball and tennis courts are available on site. The spacious villas of Tuscan Hills by American Homes Network feature 2 large bedrooms with en suite bathroom on the ground floor, and 2 bedrooms plus an additional bathroom upstairs. Fully equipped kitchens and seating areas with couches add a cozy feel. The wind-protected pool area is equipped with sun loungers, a table and chairs for outdoor dining. For a refreshing dip at night, the pool can be heated and illuminated. For some outdoor activity, Lake St. Charles is about 5.5 miles from Tuscan Hills. Epcot, the Animal Kingdom and other Orlando’s theme parks are about 15 miles away .